NEW Winter Collection available now! 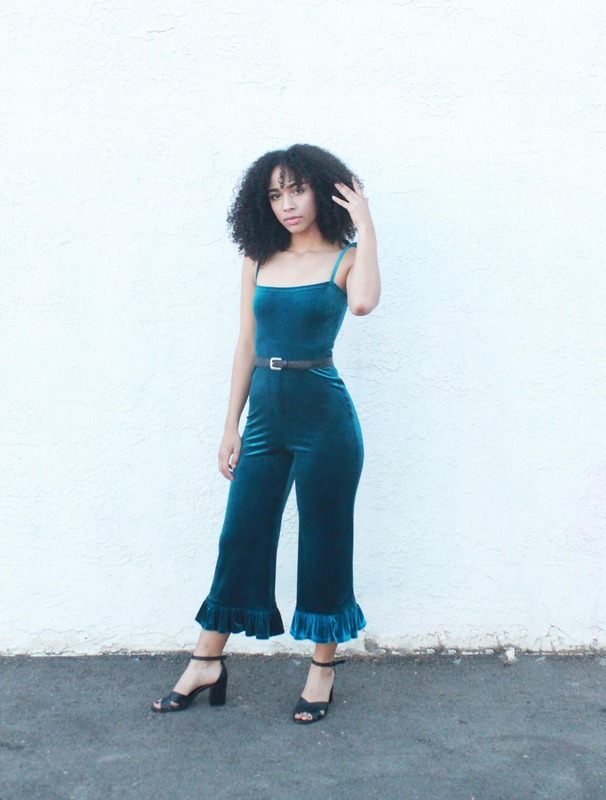 This teal velvet jumpsuit strays from the typical red and green outfits for the Holidays! The silhouette is body hugging with the shine from the velvet. 80% Polyester, 20% Lycra Spandex. 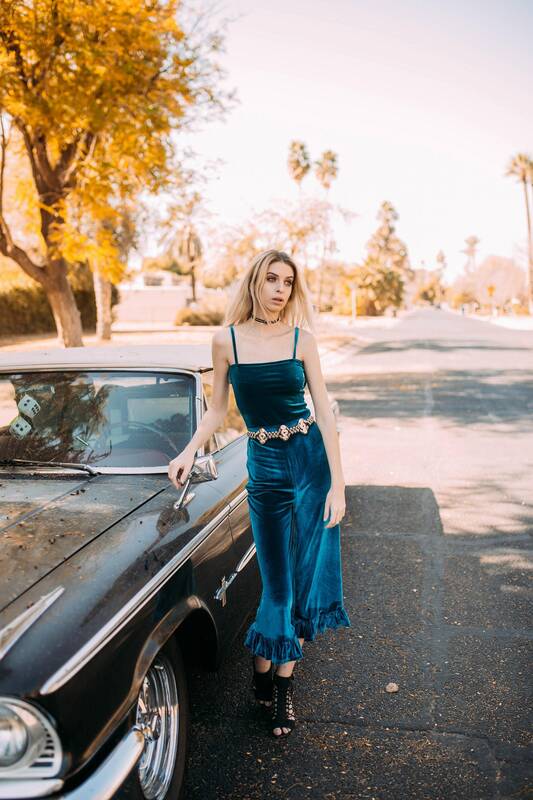 Made of a dark teal stretch velvet, ruffle bottoms, adjustable tie straps. Please allow 4 weeks to receive your order. All of our pieces are handmade to order. We allow custom and personalized orders. Once you order the piece you choose, email us the customizations you would like. Customized pieces will be more expensive depending on what you would like done. We are able to provide wholesale. Email us inquires about wholesale with your shop name and the quantity of the pieces. I love the teal jumper. It is super comfortable and the color is exactly what I wanted. I had a question about the shipping, and the seller got back to me immediately. It arrived in time!